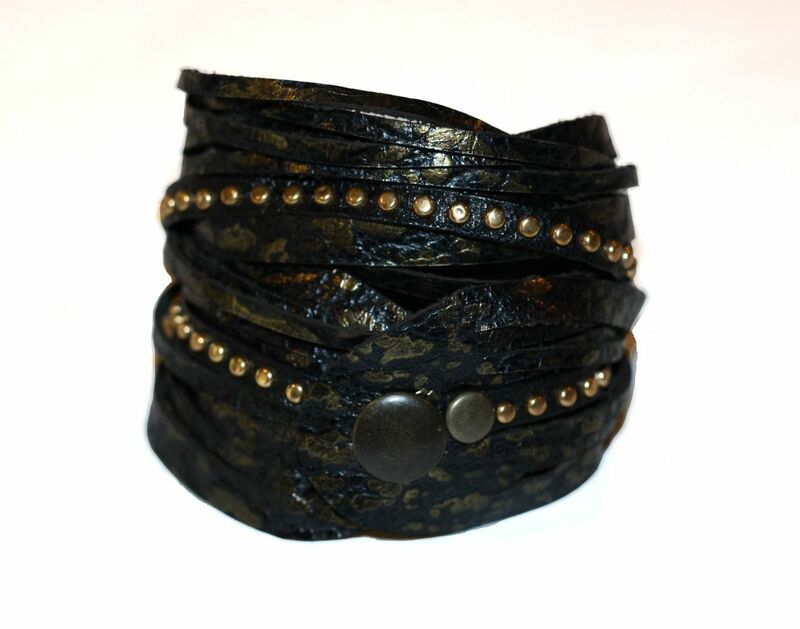 This leather wrap bracelet adds edge to any look, especially when stacked with bangles. It wraps twice and snaps. This also comes in a deep red/ black pebbled leather with silver metal detail. 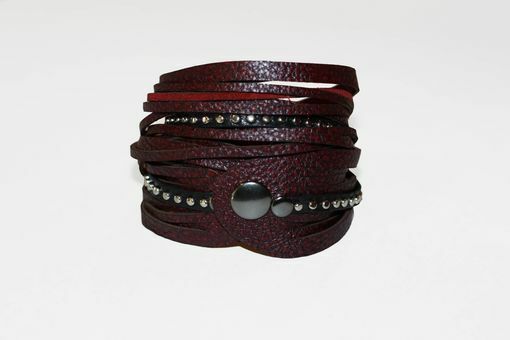 - 100% pebbled leather wrap bracelet. - Delivered in a drawstring dust bag.